Your passion, the great outdoors. Our mission, give a second life to your gear, one stitch at a time. Thread the Needle is a sewing company dedicated to the repair and alteration of outdoor clothing and equipment. 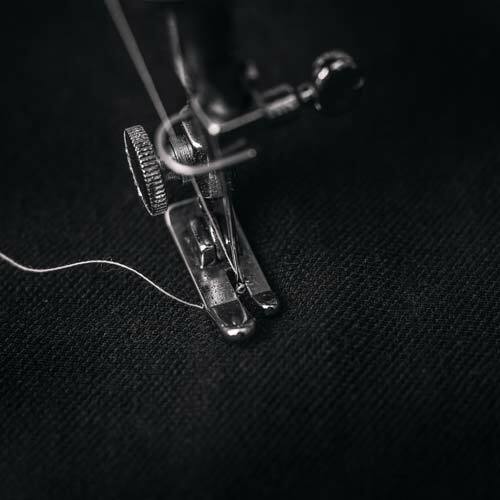 We offer specialized sewing services, providing our customers with safe and functional gear. From the desire to make a change in people’s habits of consumption, Thread the Needle is born. Driven by a strong belief of giving a second and third life to your outdoor gear, our goal is to reduce waste for a greener community. Spread the word and save. We work hard to provide you with the best service. We work hard to provide you the best service. I have a hard time buying pants as I have very short legs. Noemie hemmed 4 pairs of my pants to the perfect height, while still keeping the style of each pair. She also repaired the hems of my snowboard pants with new, more durable cuffs. They haven’t failed me yet! I came to Golden to try downhill biking for the first time. I had a big crash early season and managed to tear my knee pads. It was annoying because they were brand new and I already put a lot of money in my equipment. Noemie did a wonderful job fixing them and gave them their life back and at such a good price. Hopefully I won’t crash so hard next time! I was getting ready for a big touring day and realized my backpack was broken. I was worried I wouldn’t have the right gear for my trip but Noemie fixed it that same night. 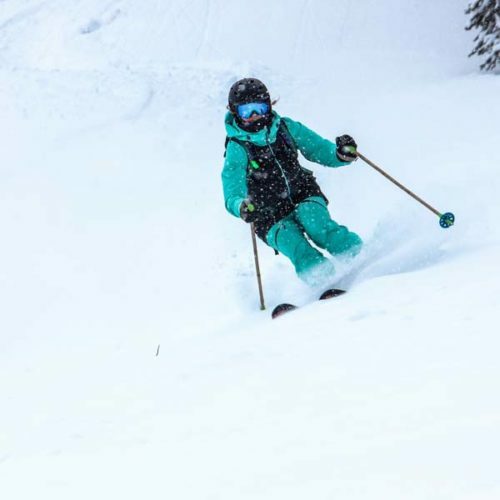 I was so stoked, I didn’t miss the pow! Noemie did an amazing job fixing my Burton one-piece snowsuit. It had a rip on the side near the pocket that looked like it would be tough to fix. Noemie fixed it up as good as new very prompt. She is also such a warm and helpful person with a constant smile on her face. Excellent service, great way to save you from having to buy new outerwear ! !